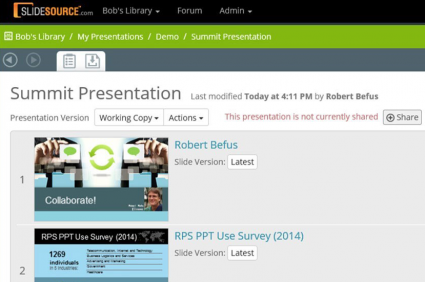 The ability to quickly share slides or presentations in your library is a central feature of SlideSource.com. This post dives into a little more detail on sharing than we have before. 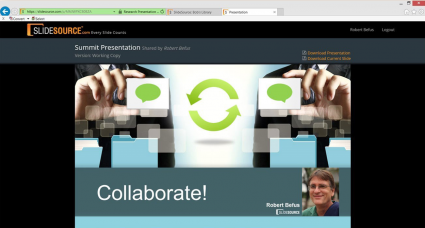 We will focus specifically on how to turn sharing on for a specific presentation or version of a presentation. 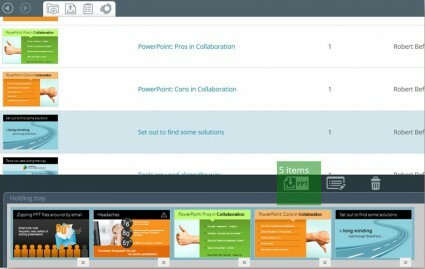 The presentation sharing feature enables you to quickly send a link to anyone so they can view or download your presentations, even if they don’t have an account with SlideSource.com. Begin by navigating to a presentation you want to share. You can share the current working copy of your presentation, or select a specific version of the presentation you have previously saved. The red text to the right of the Actions button tells you that the presentation is not currently shared. Now click on the Share button. 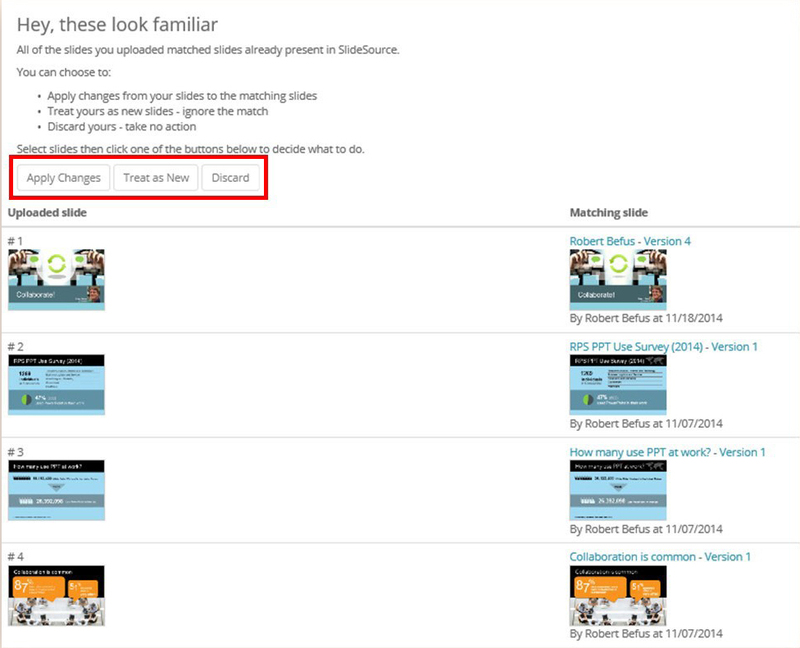 The green box shows you that sharing is now on, and a link is now available for you to copy and distribute. The sharing link leads to SlideSource.com’s unique presentation sharing screen which can be viewed in any browser. 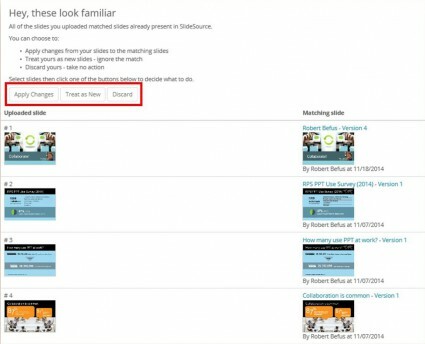 At the sharing screen viewers can advance through the slides, view them in slide sorter mode and download individuals slides or the whole presentation. 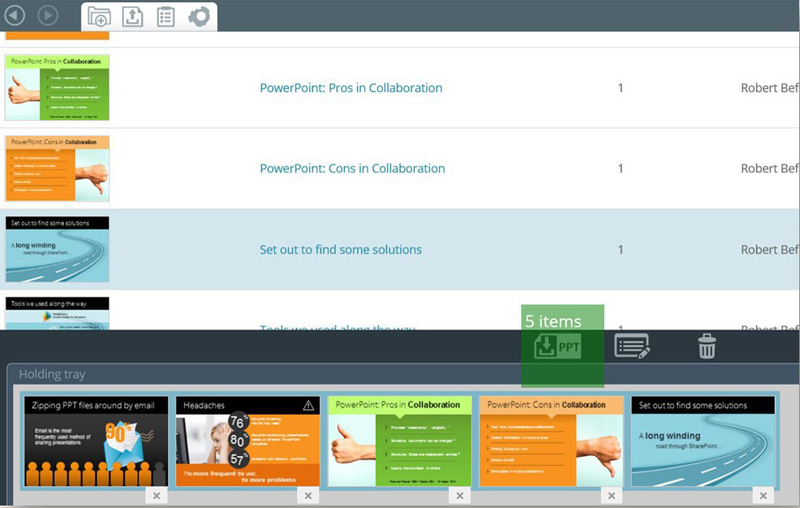 Sharing your slides and presentations has never been easier or faster.